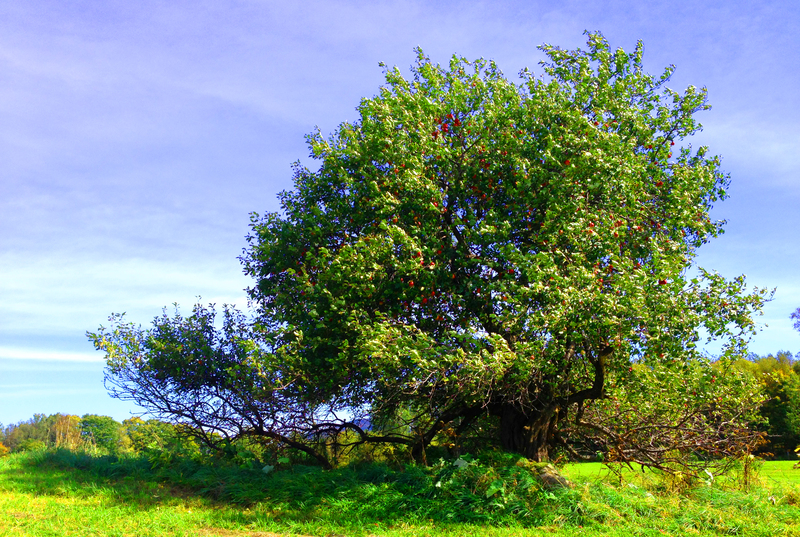 We’ve been making forays into Vermont’s pastoral countryside and have been thrilled to find wild “organic” apple trees growing along many a roadside. 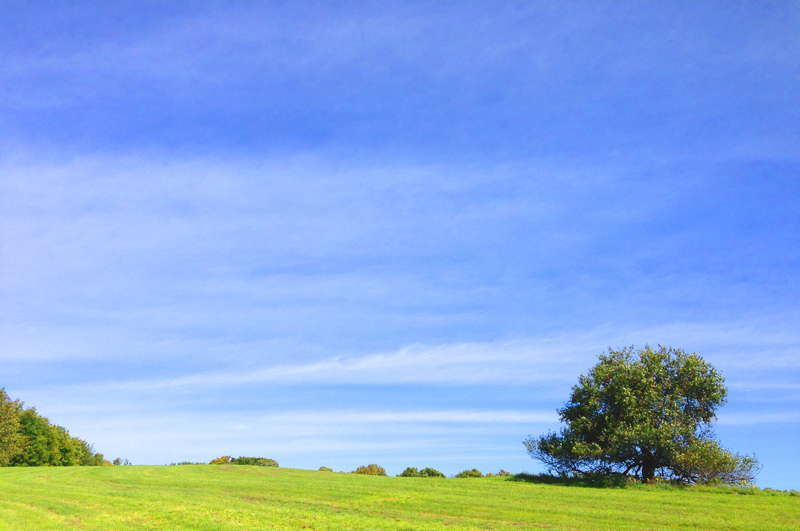 We spied this huge, lone apple tree on our way to Walden Heights Nursery, Vermont growers of heirloom apples and other unusual orchard fruits. We noticed nary a blemish on the deep red fruit polished to a high shine by wind-whipped leaves. In less than four miles from our home we have collected a sampling of very edible fruit in colors ranging from red to green to yellow or a mix of all three. 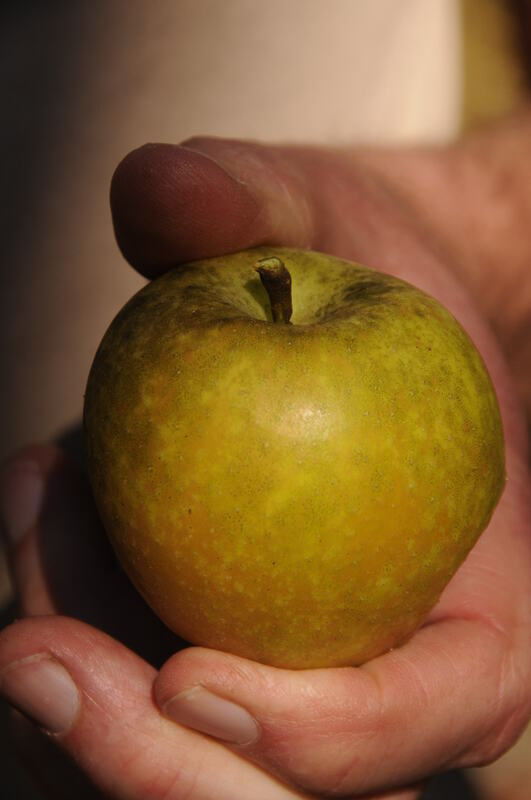 The most beautiful apple we have found so far is a tiny and fawn-colored with a lipstick-pink blush. A selection of wild apples gathered not far from our home in Newbury, Vermont. In the past before we sampled apples from the wild, we would wipe off fly speck, tiny black dots – and no, the dots do not arise from flies but are the result of fungal disease especially prevalent in Vermont’s apple orchards as our summers and falls become more humid and wet. 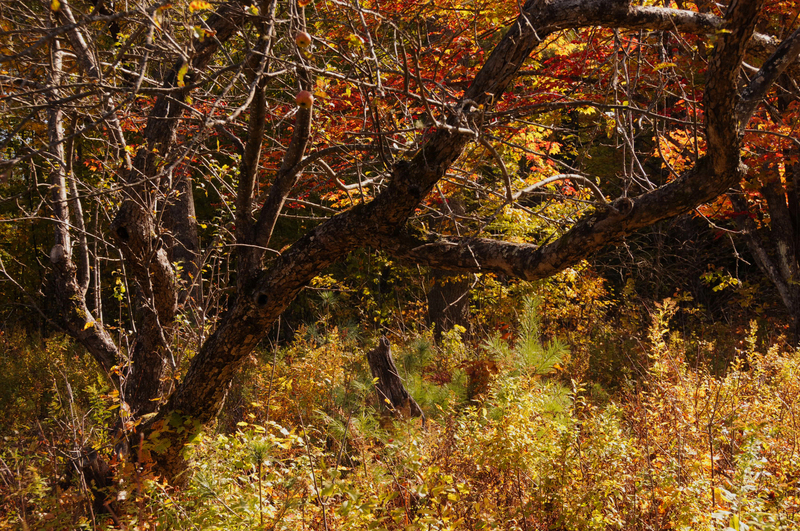 We found two abandoned orchards with trees still producing fruit on Cobble Hill within the lands of The White Mountain National Forest of New Hampshire. Most orchards spray fungicide multiple times to prevent things like fly speck and sooty blotch – but we don’t have to worry about eating chemicals with our wild finds in hand and we don’t even bother to wipe off the spots and dots, instead biting into the apples to determine if they are tart, sweet, spicy, or too sour to eat. One of the tastiest apples we have discovered so far is in a meadow adjoining ours. The apples are gnarly from the pecks and bites of piercing, sucking insects but all they need is a trim around the insect-damaged flesh and they are a delight to eat. We wonder if they are possibly an heirloom apple variety as they have many attributes for home use – the flesh is sweet, tart – firm but juicy. They are yellow overlaid with crimson stripes and were ripe some weeks ago. The apples we dubbed “the meadow apple” looked rough but had exceptional flavor and were added to a succession of excellent dishes — a harvest stew of rabbit, a veal stew reminiscent of my Great Grandmother Booth’s French Casserole of Veal, and a fragrant, spicy venison chile. The “meadow” apples have held up well in cooking and have found their way into a rabbit stew made rich by the addition of butter, good olive oil, a cider reduction we made and put up last year, lots of vermouth, good white wine, carrots and tomatoes picked from our garden and roasted before being added to the stew. There was an ample amount of the excellent fragrant sauce left over from the rabbit and it was reincarnated as a base for a veal stew. The organically-grown veal came from Winsome Farm in Haverhill, NH just across the Connecticut River from our Newbury, VT home. The tender bits of newly-harvested meat were caramelized in a super hot oven and were added to the sauce as were more “meadow” apples, our own heirloom tomatoes and slowly sauteed onions, little red potatoes from one of our favorite local farms, Peaked Moon in Piermont, NH, and as more liquid was needed to keep everything moist the last half of a bottle of red wine. 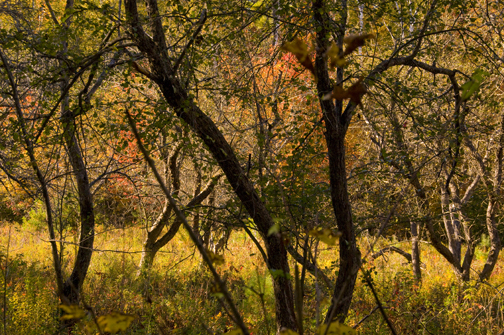 This abandoned orchard in The White Mountain National Forest will provide food for wildlife and a taste of the wild for those lucky enough to find apples in season. As the stew was put to a simmer and the aroma filled our home, I wondered what else I could cook with wild apples and rummaged about in the freezer pulling to the front items of goodness needing to be cooked before the freezer put the burn to them. A goodly-sized package marked “stew” put a smile on my face as I silently thanked our friend Tom Kuralt who generously shared venison he had taken during a hunt last year. After thawing the rich, wild meat it was browned, like the veal, in a hot, hot oven then added to a base of homegrown tomatoes, onions, lovage, peppers, and garlic with the addition of carrots from Newbury’s own 4 Corners Farm and cut up chunks of wild apple. Cumin and dried chiles from Oaxaca — Pasilla and Chilcosle — added heat and hints of clove, anise, cinnamon and smoke. Homemade corn tortillas completed the meal! 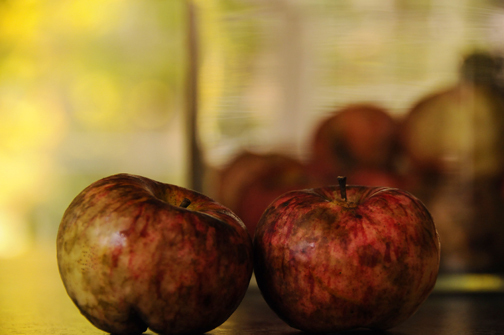 All of this yumminess has us giving thanks to the early settlers of Vermont and New Hampshire – the apple trees they planted years ago produced a mixed blessing of progeny to inherit the wild. 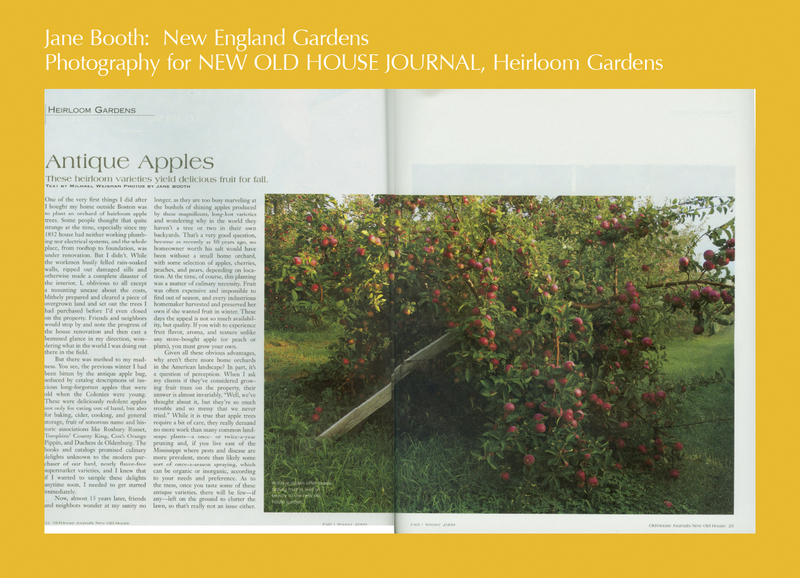 This entry was posted in Heirloom Apples and Other Orchard Fruits and tagged American apples, antique apples, cooking with wild apples, Heirloom apples, heritage apples, Jane Booth, Jane Booth garden stories, Jane Booth New England garden writer, Jane Booth photographer, Jane Booth writer, New England garden stories, New England gardens, organic apples, Vermont apples, wild apples, wild apples of New England, wild apples of Vermont on October 1, 2013 by Jane Booth. 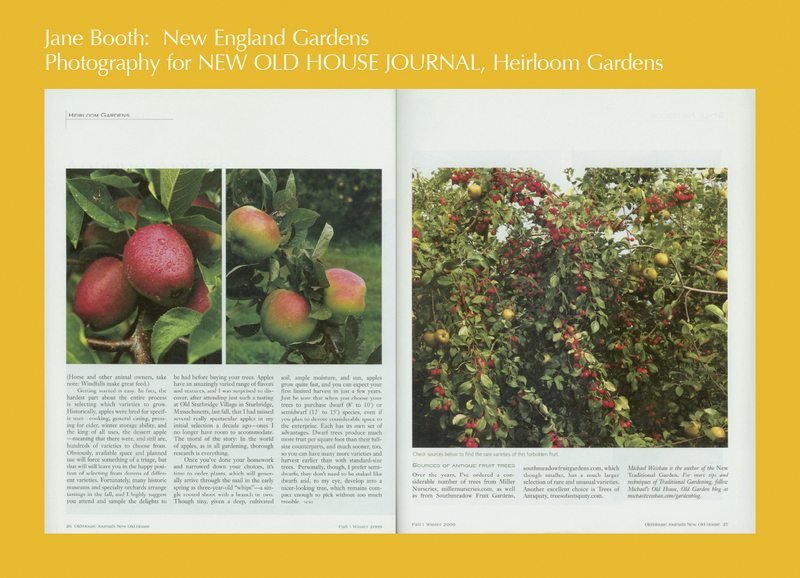 Heirloom apples are a great addition to any garden adding structure and a source of food. Published in Old House Journal’s New Old House.